Uncharted is a boutique communications agency that works hand-in-hand with our clients to authentically engage their audiences -- both online and IRL. The first step in any project is to work with your team to figure out exactly what your needs are. We are used to working on tight timelines, and often tighter budgets, so we want to make sure that we are crystal clear on your goals. We work with you to plan out a project scope, timeline and budget that meets your needs. Setting a digital strategy lays the groundwork for the entire rest of your project. During this phase, we will create the information architecture and wireframes of your site. This will give you an idea for how users will experience content. Think of it as stick figures that will eventually lead to the world's next masterpiece. 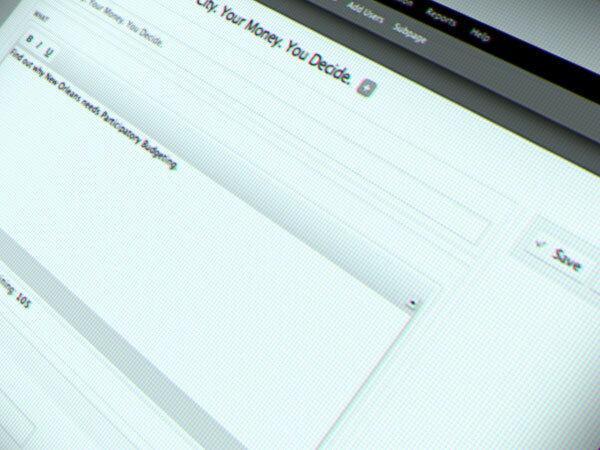 From the wireframes, we will begin crafting the actual visual identity of your project. This can build off you existing brand or we can start from scratch. During this phase, we will provide multiple opportunities for review and feedback to make sure that we are creating a tone in-line with your overall vision. Our sites are built using the most recent advances in HTML5 web standards and are always built upon a Content Management System (CMS) that will allow you to easily update or add content to the site in the future. We optimize our HTML5 website for use on mobile and tablet devices, but are happy to also develop native apps as desired. Our process is not entirely cut and dry. We take an iterative approach to every project we work on and will often develop and test a component just to send it back for some design tweaks based on user feedback. We find that this back and forth saves our clients time and money in the long run by making sure that the user is always our top priority. Many companies offer ongoing support options, which we can if you want, but we find that most of our clients don't need it. Our platforms require minimal maintenance and technical support. If a spatch or upgrade is ever needed, we bill at an hourly rate for the occasional need -- often saving our clients thousands of dollars in ongoing fees. Have an interesting idea for a project or collaboration? 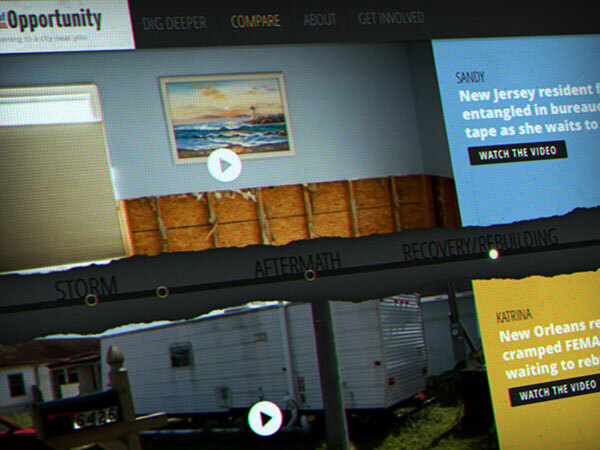 Just need a fresh perspective on your current website? Drop us a line. Timeline Budget Timeline One to three months Three to six months Six months to one year All the time in the world! Budget $10,000 - $25,000 $25,000 - $50,000 $50,000 - $100,000 $100,000 - $250,000 Money is no object! Jon is the founder and digital strategist behind all of the projects that come out of Uncharted Digital. 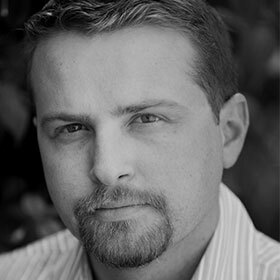 Jon has extensive background in the nonprofit sector. As the Cofounder of The Tiziano Project, he is intricately familiar with storytelling, community engagement and the needs of nonprofit organizations. For five years, Jon also served as the Emerging Technology Specialist for the University of Southern California Libraries, where he received an M.A. in Communication Management and is currently an Adjunct Professor teaching graduate level courses on New Media Journalism. 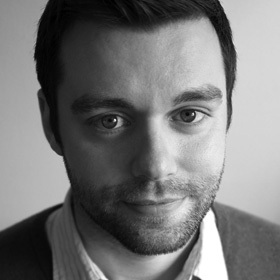 Grant is an interactive designer specializing in user interface design for high-traffic, content-rich websites and iOS apps that strike a balance between beauty and usability. With more than 10 years of experience, strong attention to detail is evident in his designs, as is an emphasis on creating clean, appealing, and functional interfaces that comply with the latest web standards. Sarah is a creative strategist with over a decade's experience developing interactive products. Her expertise lies in leveraging market trends to create compelling transmedia experiences that strengthen brand affinity and drive audience growth. As a lead producer for Disney Interactive, Sarah developed cross-platform technology with Nintendo, co-wrote television commercials for Disney Channel, and created the brand Friend for Change, The Walt Disney Company's first corporate citizenship campaign for kids and families. 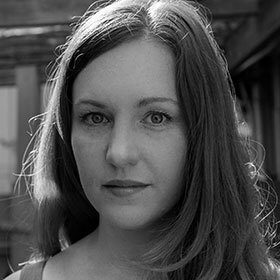 She is a published writer and holds a master's degree in Fiction from the University of Southern California. 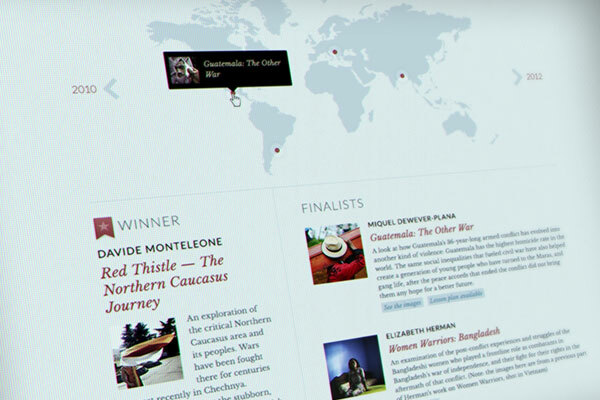 A global platform for collaborative storytelling made possible by the Knight Foundation, Google and The Tiziano Project. Creative/visual design, user experience design, custom CMS development, front-end development, digital strategy & marketing. StoriesFrom was built with tablets in mind -- when added to the homescreen on your iPad, the web application becomes a fullscreen HTML5 app. We like to say that the platform was actually built for the iPad and optimized for the web. StoriesFrom provides individuals and organizations with a platform to easily create powerful community-based storytelling projects. 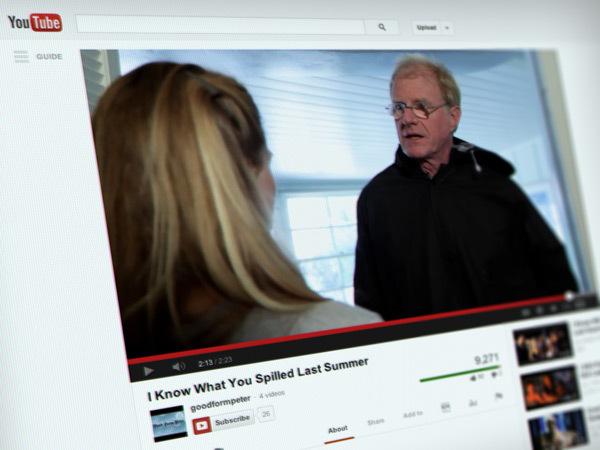 Viewers can then easily talk to local content producers using Facebook. StoriesFrom was built upon a highly customized Drupal instance as the Content Management System. The platform allows for individuals to manage projects, create and assign user roles, and maintain control through built-in publishing queues. An educational resource that highlights the lessons learned from world class photographers documenting the true price of peace. Digital Strategy, creative/visual design, user experience design, CMS development, front-end development. 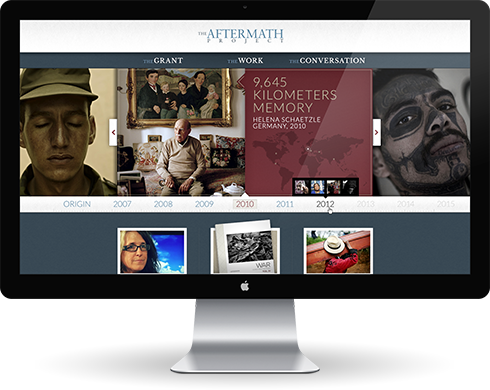 The Aftermath Project website is more that just a collection of their past grantee's work. It is a resource to learn from. That's why we have integrated lesson plans into many of the project profile pages, so that teachers around the world can easily bring these images into their classrooms. 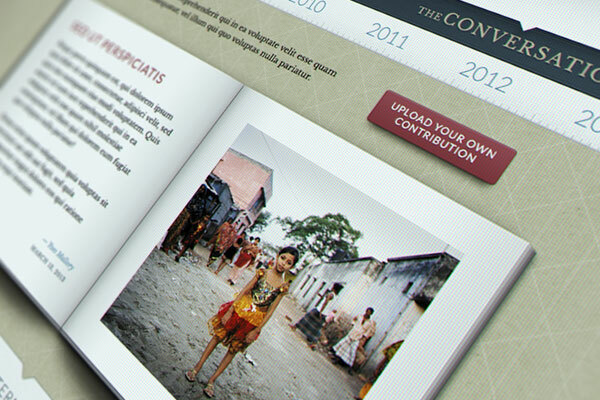 True impact of the Aftermath Project will be felt when their work begins to have an effect on the global conversation. We wanted to spark this conversation now by allowing users to contribute their own stories, images and art to a virtual volume of the Aftermath Project book. 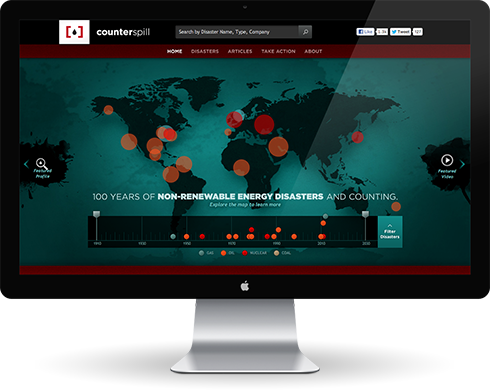 100 years of non-renewable energy disasters and counting, Counterspill is a rich media archive meant to help us learn from our past. Digital strategy & platform conceptualiztion, project management, design & development oversight, grant writing, partnership building & fundraising. When Chris Paine, Director of "Who Killed The Electric Car", and activist John Quigley approached us with the idea of creating an online experience that countered industry spin around energy disasters, we knew it had to be cool. 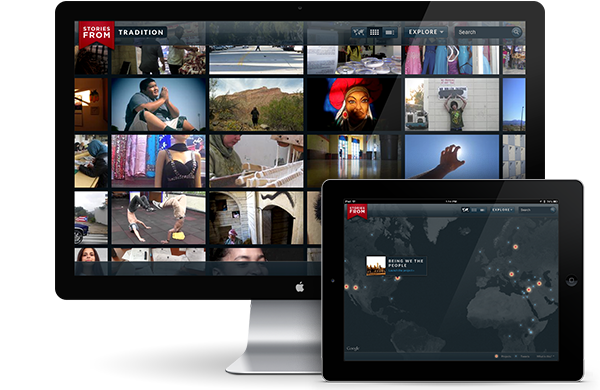 What we created takes an expansive amount of information and makes it easily consumable by mainstream audiences. The site intentionally feels more like you are navigating a video game than an archive of the worst man-made disasters of our time. For this project we assembled a full editorial team to develop and populate the content for the site. 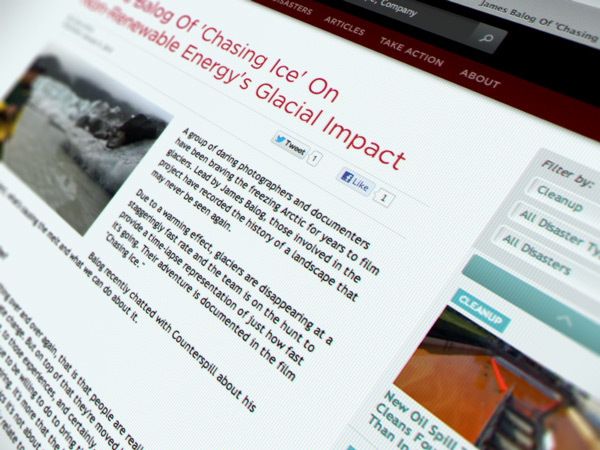 Our background in journalism makes us the perfect team to develop content rich websites from the ground up. 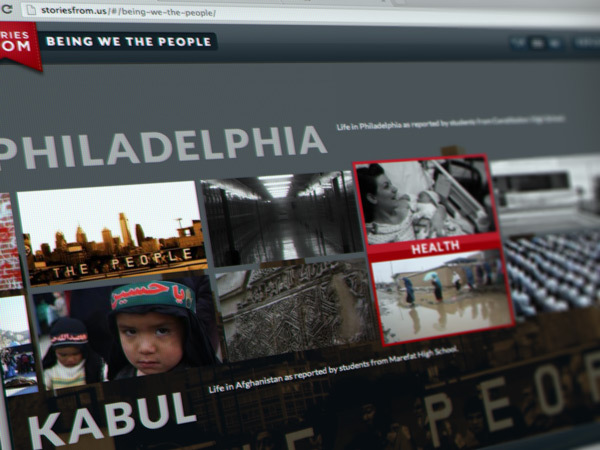 We also oversaw the development of alternative media campaigns for reaching larger audiences. 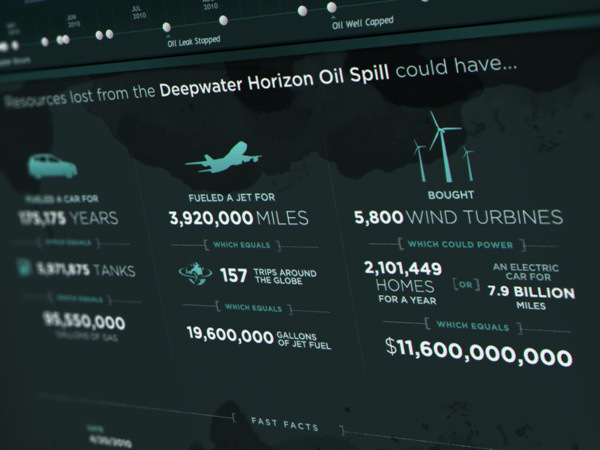 "I Know What You Spilled Last Summer" launched on the one year anniversary of the BP Oil Spill and kicked off Counterspill.org with front page coverage on The Huffington Post. 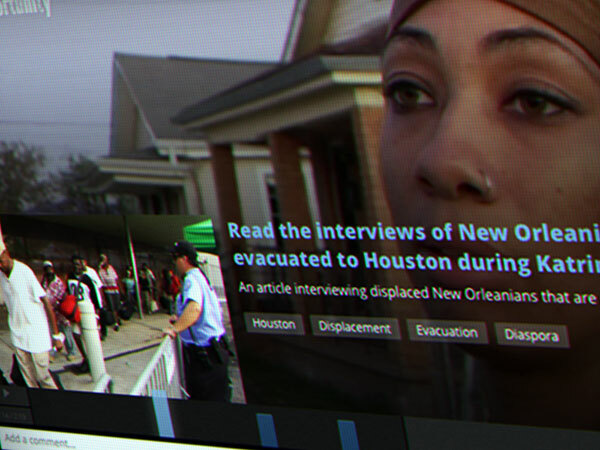 A rich media platform for navigating the archive of a post-Katrina documentary via a choose-your-own-adventure style experience. 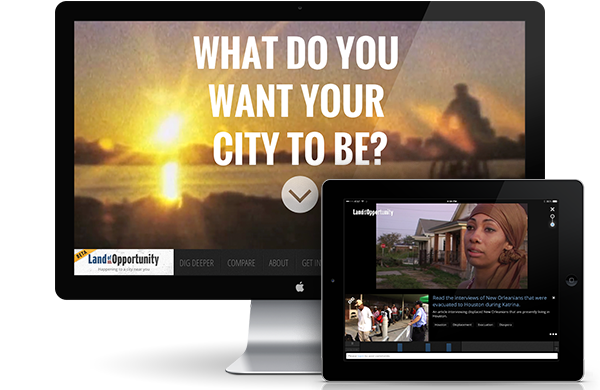 LandofOpportunity is an experimental web platform that explores post-crisis community (re)building in America. 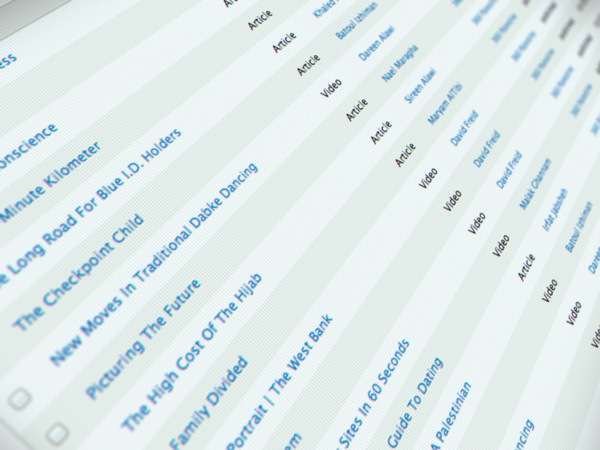 We built an interactive video player that merges compelling multimedia storytelling with curated data, research, and calls-to-action in one collaborative space. 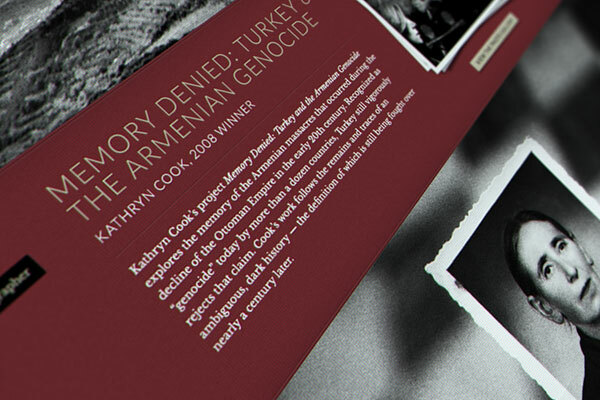 The innovative platform features an interactive timeline that allow users to explore and compare layered narratives about the people and processes that are shaping our increasingly vulnerable landscapes. Partners can create and curate their own multi-layer stories and strategically deploy them to increase engagement and affect change locally and nationally. Groups and individuals can collaborate with partners working in different communities, thus creating a foundation for communication and knowledge-sharing across places, issues, and sectors.